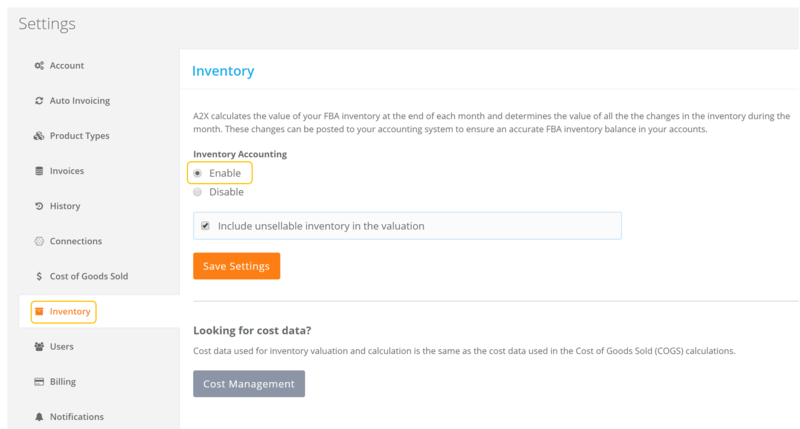 A2X will automatically fetch the month-end stock take data from Amazon for your FBA inventory and will use your uploaded cost data (from your Cost of Goods Sold cost file) to calculate an inventory valuation for the stock held by Amazon in FBA. The inventory valuation report is provided to you on a monthly basis. Go to your A2X account settings page as shown below. 2. Then go to Inventory. 3. 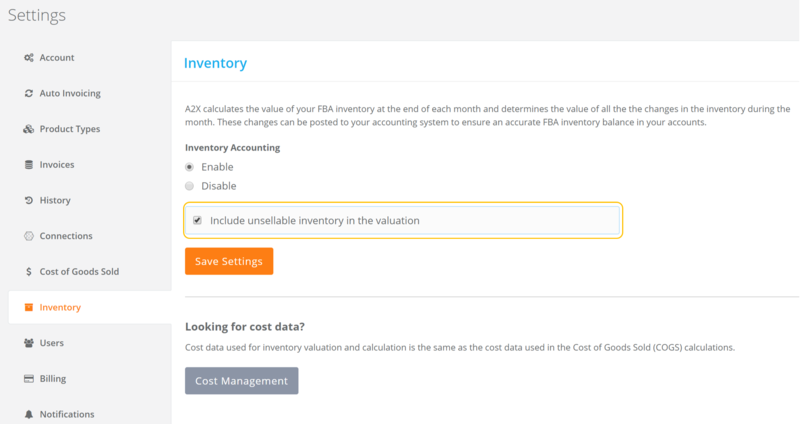 Select 'Enable Inventory Accounting'. You have now enabled Month End Inventory Valuation Reporting. A new menu option will appear at the top of your A2X account titled 'Inventory'. If you click the menu option, a drop down box will appear showing two options: Monthly Summary and Locations. Click HERE to head over to our COGS & Inventory support center, where you can find more articles relating to the use of A2X's Cost of Goods Sold and FBA Inventory Valuation features.